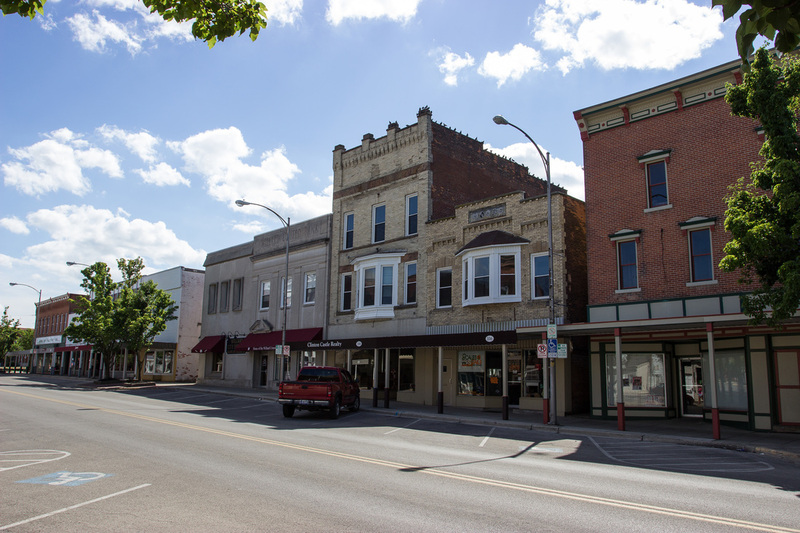 About Willard, Ohio - SAVE WILLARD'S CLOCK - THE TIME IS NOW. MAKE A DONATION TODAY. Who we are. The Time Is Now. SAVE WILLARD'S CLOCK - THE TIME IS NOW. MAKE A DONATION TODAY. About the city of Willard. Willard is the biggest small town in Huron county with a railroad and farming history that rivals the best in the country and state of Ohio. A small town that has committed toward a fresh new future in all areas. Willard is located just 35 miles south of Lake Erie and Sandusky, Ohio. It sits 80-90 miles from three larger metropolitan areas such as Cleveland, Columbus and Toledo in northern Ohio. With the help of private partnerships this small town of 6200 is looking toward the future in the following areas. A newer school building that accommodates all grades in one location. The second largest type school building in the state of Ohio with the staff to take Willard students well into this century. A 25 bed hospital with the latest technology to provide for residents health needs. ​Star of the West Mill- The company founded in 1870. The corporation owns and operates five flour mills, 10 grain elevators and two fertilizer plants. A flour mill capable of producing one million pounds of flour per day in Willard, Ohio. The opening of this new plant is the fall of 2016. Expansion of this plant is being considered as well. Years ago, one of the founding fathers stated “ The Past We Inherit, The future We Create”. In Willard since 1953. Pepperidge Farm – Recently expanding and Incorporating a new flour mill to ensure future growth, business and jobs in Willard. Baking since 1937. “Baking to them is more than just a job”. LSC Communications formerly RR Donnelly's – A world leader in the printing industry. Corporate Award winning company. Ranked #258 in the 2015 Fortune 500 listing of America’s largest corporations. Ranked # 47 in the 2015 Information 500 list of most innovative users of Business Technology by information Week. Guardian manufacturing Company- Providing chemical protective gloves for the military since 1982. CSX Railroad - Meeting America's shipping needs. One of the best agricultural growing areas in the country. Four family names with a century of farming history in Celeryville, Ohio producing crops from about April to November trucking these vegetables to all parts of the country. The first small town of its size in a 40 mile area to have an art gallery with the Art Junction in New Haven, Ohio just outside Willard. This small gallery treats the area with art work from local artists and more. The city offers an impressive 4 city parks all across town covering 60 acres. Soccer and softball fields, skate park, city pool with water aerobics from June to August and more.